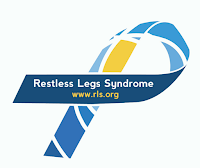 Austin, Texas – December 18, 2015 – Yale Centers for Restless Legs Syndrome in New Haven, Connecticut; and Houston Methodist Neurological Institute in Houston, Texas, have been certified as RLS Quality Care Centers by the Restless Legs Syndrome (RLS) Foundation. The designation recognizes specialty providers that have expertise in treating RLS patients with a range of complexities and comorbidities. Brian Koo, MD, is an assistant professor of neurology at Yale School of Medicine and director of the RLS Quality Care Center at Yale. “At Yale, we are thrilled and humbled by our designation as an RLS Quality Care Center. We see this as an opportunity to get patients involved with important clinical research, to provide education through the RLS Foundation, but most importantly to offer excellent clinical care for those that suffer from this terrible disease,” says Dr. Koo. Other RLS Quality Care Centers include the Center for Sleep Medicine at Mayo Clinic, Emory Sleep Center, Johns Hopkins Center for Restless Legs Syndrome, Stanford Center for Sleep Sciences and Medicine, and Innsbruck Medical University, Department of Neurology, Sleep Lab and Sleep Disorders Outpatient Clinic. The RLS Foundation is dedicated to improving the lives of men, women and children who live with restless legs syndrome (RLS, also known as Willis-Ekbom disease). Founded in 1989, the Foundation’s goals are to increase awareness, improve treatments and through research, find a cure for RLS. The Foundation serves healthcare providers, researchers, over 4,000 members and an estimated seven million individuals in the U.S. and Canada who have RLS. The RLS Foundation Research Grant Program has awarded $1.5 million to fund medical research on RLS causes and treatments. For more information, visit www.rls.org.